The scarf has a wavy rib on one side and a barred rib on the reverse. 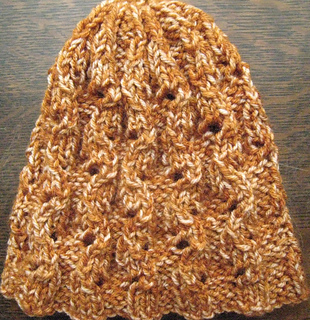 Size 7 needles are used for the mittens. 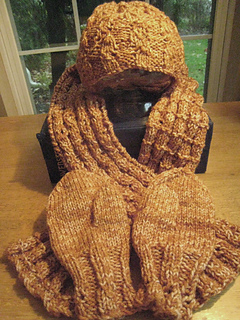 The scarf and hat use size 8 needles. 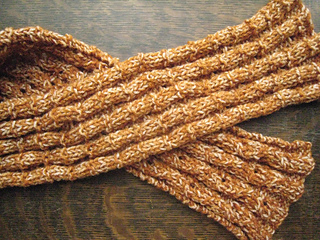 The scarf border is a 1-st garter-stitch border.